The Trent Aegir: a sacred river and its god? 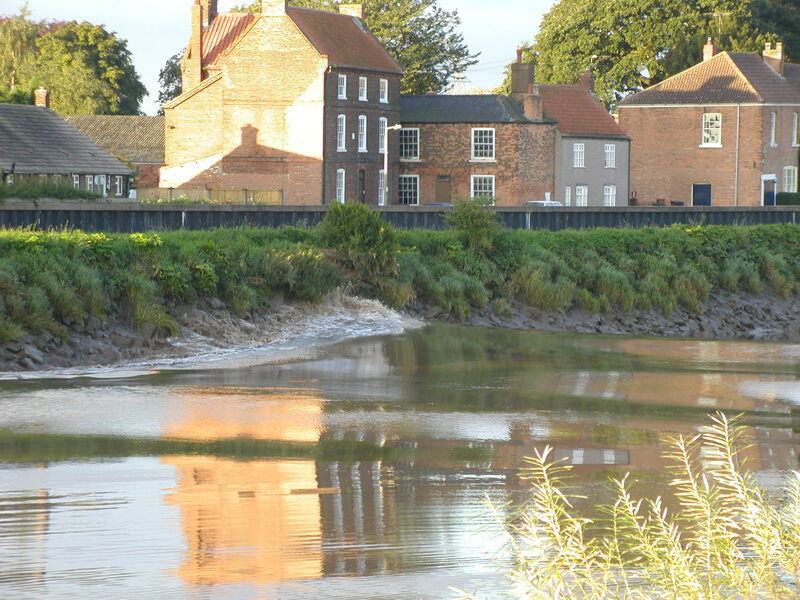 Sadly although West and East Stockwith is still a good place to see it, weirs to the north of Newark and dredging beyond means that locations such as Littleborough are no longer good view points. Marsden’s Lincolnshire stated that it derived from a Norse god of the sea, Kaye in Lincolnshire and South Humberside, suggests that it took its name from ‘Oegir the Terrible’ a Danish god and significantly refers to St. Oggs in the Gainsborough area. It could itself also mean Og suggests it is the same as the sea-giant Hlér, who lives on the isle of href. Aegir is said to be the brother of Logi (fire), Kari (wind) and his wife a sea goddess”Rán”Their children were nine billow maidens who were Unnr (or Uðr, wave), Bára (or Dröfn, wave), Blóðughadda (bloody sea), Bylgja (large wave), Dúfa (the pitching wave), Hefring (the surging wave), Himinglæva (reflecting) Hrönn (the grasping wave) and Kólga (cold wave) doubtless waves which may have gone up the Trent. It was at some point believed to be lucky to cross the river by boat and it conferred healing in some cases, this as may explain why the ferryman across the Trent received a very warm welcome at Clifton, where every Christmas he received a free meal and hospitality on the Parish. The family at North Clifton were famously said to be haunted by a great fish which appeared in the river as a harbinger of doom for one of its members. Notes on it suggest it was a considerable sized surgeon. Similarly at a bend of the Trent at Owston Ferry was haunted by Jenny Hearn or Hurn or Jenny Yonde. This little creature was like a small man or woman, though it had a face of a seal with long hair. It travelled on the water in a large pie dish. The Trent is still a mysterious and foreboding river, much of its route quiet and remote…that is until the sound of the tidal wave appears.